This weeks eLearning Challenge is Grabbing Attention and Motivating Learners. I decided to use storytelling as a means to grab my learners attention. I told a story about a well-known experiment that I had read about years ago. I used drawings, animations, transitions and sound effects to the story come to life. The process wasn’t very complex this time, but hopefully, still effective. I drew my characters in Illustrator and used motion paths to animate them. I then added sound effects to make the actions seem more engaging. One tip that I will pass on to you is, if you aren’t able to find the exact sound effect that you are looking for, look for something that sounds similar. I wanted the sound of files being dropped on a desk, but of course I couldn’t find anything that specific. Instead, I found an audio clip of a cupboard door being closed that was close to the sound I was after. I also needed the sound of something being moved quickly. I found a sound effect that was similar to what I wanted and was able to remove part of that audio with Storyline’s audio editor. My entry this week wasn’t particularly difficult, it was just a little time consuming to draw my characters and find the right sound effects. I think all of the parts came together well and I hope that it will capture your attention and maybe make you smile. Check it out for yourself here. Great Post Linda! Are the drawings yours?…..they look awesome. Thanks for sharing! Thanks Paul. 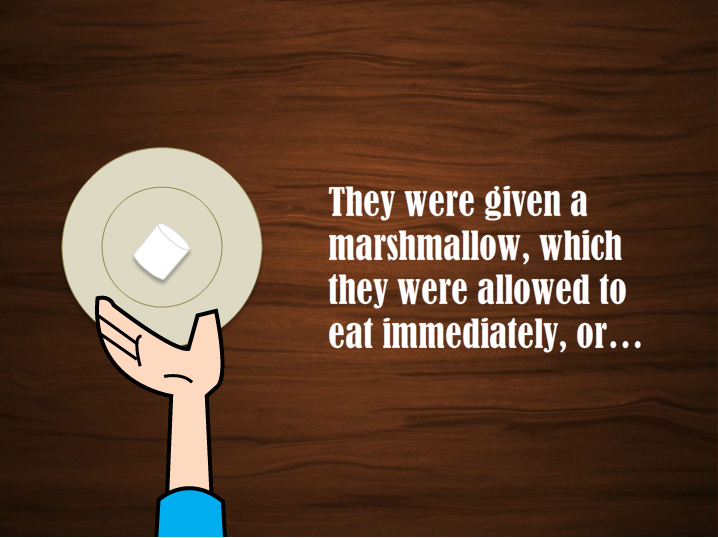 The simple things, like the plate and marshmallows I made. I traced parts of the more complicated drawings and changed them slightly to suit my needs.